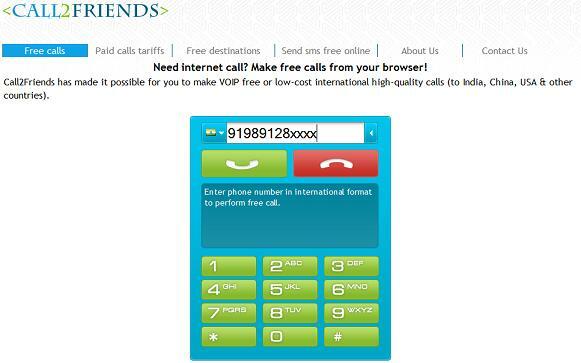 2012 | Free Pc to Phone Calls, Free Voip Calls to India International ! So many people have asked us this question and we have to point them to our various blog posts. There is no doubt that we have reviewed so many different voip providers and almost all of them now offer very cheap rates to India. But nowhere on internet you will find plain simple calling rate comparison for India. So we have decided to make a tabular comparison of calling rates to India. We have tried our best to include all the calling cards provider and all the voip providers, but yeah we could have missed many (there are so many). So just let us know in the comment section and we will include them in our table. Though calling rate is a good factor in deciding over a calling card/voip provider, but please note that it should not be the only factor. Many a times voip provider offer cheap rates but their customer support is bad, or they offer one method to make calls. So make a wise decision. Please note that incase of betamax providers, the prices of inclusive any taxes. We have also sorted them in increasing calling rates order. It is very interesting to see the calling rate variation. I didn't realized that rates vary so much. I always thought it to be in 1-3 cents range, but! Also none is offering all inclusive (taxes) price of less than one cent per min. I am not taking into consideration any promotional offers which tend to lower the effective calling rate. We will soon try to update this post to include field for Android App or iPhone App or SIP Calling etc.. If you like any other voip provider to be added to this list, then please share its name in comment section. Also if you see any discrepancy in the rates or in any other information, then also please inform us. We would love to keep this page updated with the latest information. Its time you start making cheap calls to India. Merry Christmas and Happy New Year to all our blog readers. This festive season we have one very exciting offer for you using which you will be able to call many countries for free and yes unlimited number of calls. You will not have to worry about the talktime or about the money being spend calling your loved ones, just talk endlessly and as long as you like. 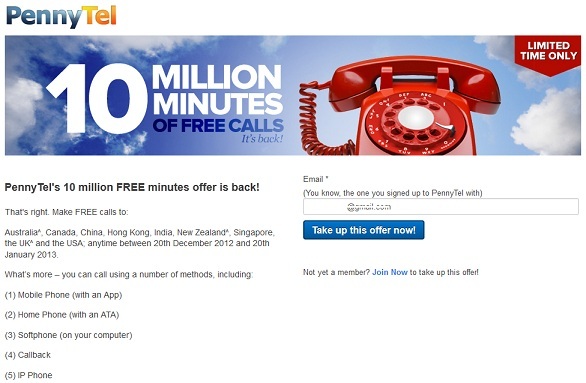 We are talking about the 10 Million Free Calling Minute promotion (just like old years) by Pennytel. They have about 25000 subscribers and counting. And to encourage more people join them, they every year bring this promotion. This year as well, they have launched this amazing promotion where they are giving away 10 million free international calling minute to all new and old users. I kinda love this promotion, because of which I just call almost all of my friends and family in this one month. They are sometimes like why is this guy talking for so long.. is his phone company sponsored or what ..
Click this link to join Pennytel (or avail this offer if you are already its customer). If you are already a customer, then just enter the email id in the above link provided and check your account, you would have got 10M minutes in your account. If you are new customer, then simply register with them by filling out the form. You will be asked to submit your name and email ID. Your online form would further require you to enter details about your location and payment modes. Once you are verified you will be having a valid account with PennyTel services. Pennytel offers so many different ways by which you can make calls. You can make calls to above destinations from your mobile phone, landline phone or voip phones. 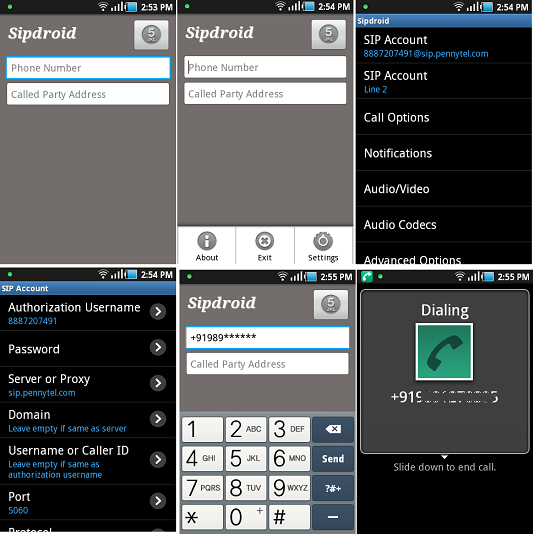 You can install any SIP software on your mobile and enter pennytel sip settings to make free calls. You can do this on your android, iPhone, Nokia or even windows based mobile phone. Another interesting way is to make use of Web Initiated calling as explained in the images below. - Login to your account. Visit Portal. - Personal Voip Tab will open up. - Enter your details and click submit. 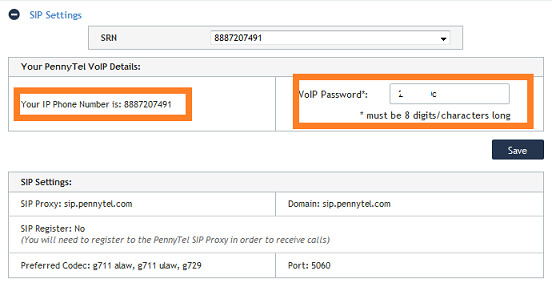 - Pennytel will call you on your number (From field) and then connect you to your destination number (To field). - Talk as long as you like. 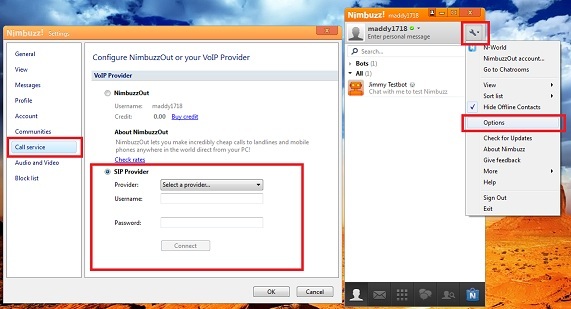 Other ways to make calls would be making PC to Phone Calls using Nimbuzz software. A few people have complained that the web callback method does not work for them. I tried it, and yes it worked for making calls from my India Number to India Number. 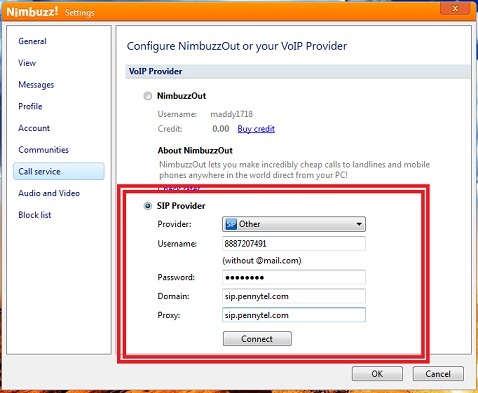 However if it does not work for you, then you can try making PC to Phone Calls using Nimbuzz software. 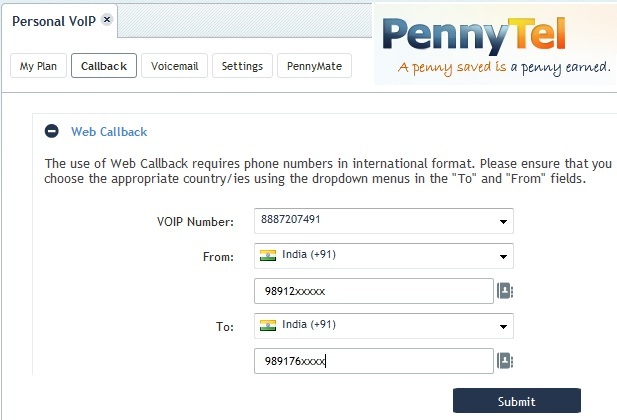 Please check the post below on step by step tutorial on configuring Pennytel with Nimbuzz software to make Free PC to Phone Calls. Its the month of December, the time when we bye bye the old year and welcome the new year. Its the time to start celebrating the new year. Soon you will see the flood of new promotions, discount and sale and I am sure you will be shopping a lot. Why don't you atleast save some money on your phone bills and spend that money shopping somewhere else. Use voip and make cheap international calls. This is the time of the year when people call most of their home countries. If you are in USA and your family is in India, then don't hesitate to call your relatives and friends back home.This is also the time period when most of the voip providers bring new offers and promotion for free and cheap calling. Just make full of them and wish all your loved a great new year ahead. Rebtel has also started one promotional offer giving 100% bonus to all new customers. Below are the details. The New Year 2013 offer is a voucher code called NewYear2013 that gives new customers 100% bonus on their first deposit. Please note that this promotion is valid from December 26th 2012 until January 14th 2013. Please note that the campaign will start from Dec 26 only, so you will have about 20 days to purchase this offer, but that does not mean that you will have to consume the purchased credit in that period of time. You can join Rebtel during this period. Buy credit worth $10, you will get $20 credit (extra $10 as bonus free credit). You can use this credit at your own pace. Rebtel calling rates are already so low that it will take sometime to consume this much credit. Now many of you must be thinking why you should join Rebtel. - Rebtel is one of the most widely used voip provider. Trusted by many. - You are switching to voip for phone calls. That's like 80% cheaper than telecom calls, about 50-60% cheaper than Skype and your other calling cards. - You are making use of one of the best offers. 100% bonus is a great deal. This means your effective calling rates gets halved or calls to India at less than one cent. - Rebtel offers so many different ways to make calls. It has andorid, iPhone, Windows, Nokia all types of application. - You can use Rebtel from any country in the world. What you require is just internet connection. - You won't be getting such offers and promotion often. Voip has changed the way we make phone calls. These are no longer those costly and expensive and we have so many options to make cheap calls. You must have heard about Magicjack and netTalk Duo, which you can directly connect to router or computer and start making calls. If you use this, then you can make free calls within US and Canada for free. I am sure you must be paying quite a good some of money for national and international calls within US and Canada, but if you start using netTalk DUO then you can avoid paying such hefty charges and save a lot on your phone bills. Can you send free sms from your landline or even your mobile phone. The simple answer is sms or text messages are sometimes more costly then your phone calls. But with netTalk DUO you can send unlimited free text messages and this is available to both new and old customers. They offer one android based application which you can download for free and start sending free text message. This post ain't about praising netTalk DUO, but we are here to share coupon code for free credit. NetTalkDuo is offering one promotional code this Christmas in which it is giving free $10 credit. Offcourse you can make free calls within US and Canada but you can use this to make cheap international calls to other countries. - You will get $10 credit for free international calls anywhere in the world. - Use coupon code INTL2012. - This credit is good when you buy NetTalk duo from an authorized dealership such as Walmart, best buy, etc., or online dealerships such as Amazon. 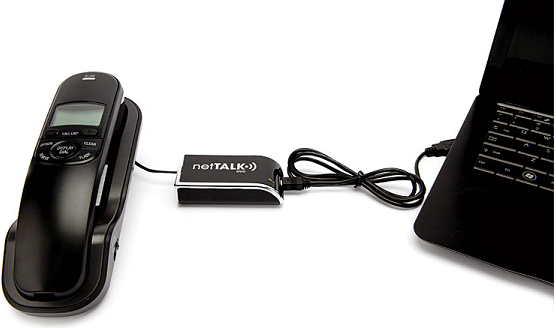 So many people have asked us that what's different with netTalk DUO. What are its benefits. Should we really spend that much money to buy this device. - Free Calls to US and Canada. - Android application will allow you to send and receive short messages even when you are traveling. - Use the Wi-Fi or 3G wireless connectivity options in order to keep you connected with your friends and family. It does not matter where you are. If you are connected to internet and you can use netTalk DUO. - Gift this to your family in India and they can call you for free. - netTalk is planning to release an application for iOS based devices too in the near future. I know so many people who have switched from blackberry to iphone or android mobile, simply because of one reason that "there are no voip applications" for blackberry. If you check our post for viber app for blackberry then you will see so many disappointed customers, tired of waiting for the blackberry app. Even if you somehow find any mobile voip app for blackberry then its calling rates are not cheap, forget about free calls. But today we will discuss about one mobile voip application only for blackberry mobiles, which not only offers very cheap international calls but is also offering free trial calls worth $10. We are talking about MobileMiser by FroogleCall. 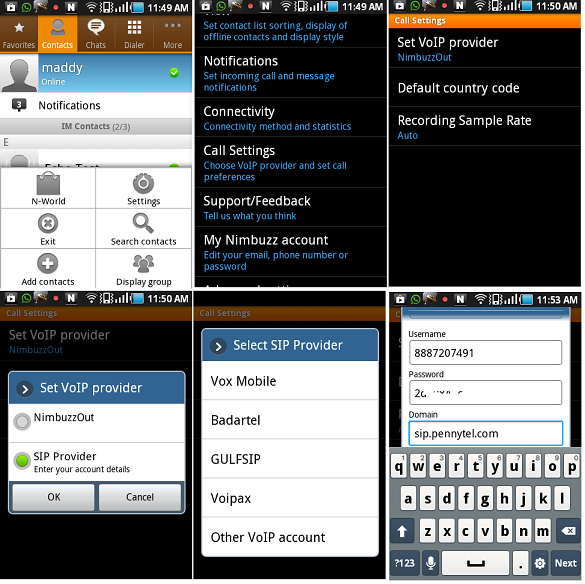 It offers cheap and easy to use voip service for blackberry customers. They claim that you can save upto 80% on your phone bills, by switching to them for making both domestic and international calls. But the main attraction of MobileMiser is a promotional offer where they are offering free trial credit worth $10 for blackberry users. If you have a blackberry mobile and want this free trial credit worth $10, then just follow the instructions below. Lets us know if you face any issue. - Visit the following link : https://secure.mobilemiser.com/signup-berry-step2.php?plan=9. Enter all your details. After that simply click submit. With successful signup you will see $10 free trial in your account. - Now is time to download the app to your mobile. Go to http://berry.mobilemiser.com/ca and download MobileMiser’s VoIP application, FroogleCall on your BlackBerry phone. - Now from your address book, select a number to call. - Press the menu button and select “Use FroogleCall” which displayed on the menu. - You will see “MobileMiser is connecting your call. Please hold” on the screen. - Your call will get connected within few seconds. - International destinations will be activated after identity verification! So its better to verify your identity and make international calls as well. FroogleCall is a killer app downloaded directly to the BlackBerry® that seamlessly integrates with the address book. Make calls as usual and slash your cellular bill by up to 80%. Call anywhere in North America for as little as 1¢ per minute. Make international calls for as low as 1.9¢ per minute! I changed my Rogers plan to an unlimited incoming call plan ($25) and added My5 local ($10). I then made FroogleCall's access number one of my favourites and signed up for MobileMiser's Unlimited North America Plan ($29.95). That's $75* per month! 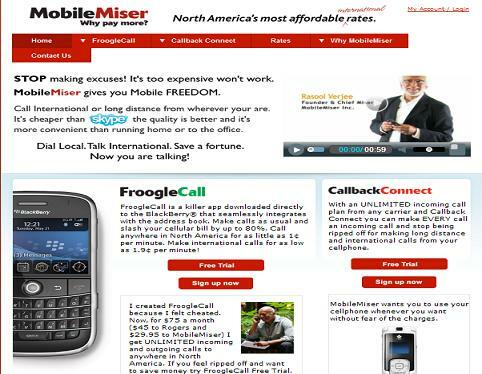 Below is a screenshot of MobileMiser (FroogleCall) Calling Plans. Choose the one that suits your need. I checked their international calling rates. I guess these are competitive however not the best ones. Many voip services offer cheaper calls. They offer calls to India at 2.9 cents per min, Pakistan at 10.1 cents per min. If you are using Blackberry mobile, then I would certainly recommend you to start using MobileMiser FroogleCall plan by choosing the free trial plan. You have the experience of video calls on your mobile, tablet or your computer screen. Well all those are pretty small screen. Though it is exciting to make video calls but we all are used to it now and get very less fun in those calls. The experience of video calling on a bigger screen (say your television) is just amazing. We have been discussing how you can enjoy skype calling on your TV with the method of buying Skype Ready TV or purchasing a TV Webcam (and/or Skype Blu Ray Player). Though all of these works pretty good, but thing is all of these methods requires you to spend some good amount of money. What people have asked us is to provide a solution so that they don't have to buy any new special television, or any special webcam devices or those blu ray players. We decided to just post one of the simplest and easiest method to make video calls on your TV and without the need to buy anything extra. Lets see how. What you want is to see the other person on a bigger screen. In the methods we posted earlier (buying Skype Ready TV) also required that webcam and Mic to be separate and extra. So all the input devices are apart from TV. Skype was something which was played (installed in the TV) or blu ray player. Offcourse you could have also used your Playstation for video calling with Skype. If we can just use our normal webcam and Skype (which is installed on your computer or smartphone) and use the TV screen to view the other person. For speakers (audio output), we can either use the TV speakers or your computer speakers. PS : Though in the post we have been using Skype (as our video calling software), but the method works for any video calling software like ooVoo, Fring, Tango or any other which you normally use. - HDMI cable if your TV and laptop have HDMI support, otherwise VGA cable also works. If your TV/Laptop has HDMI support, then you will get audio from TV speakers. Otherwise the audio will still be from external or laptop speakers. 1. Make sure that Skype is installed and working properly on your laptop. 3. Connect your computer to your TV using the HDMI Cable or VGA Cable. 4. Press suitable keys so that screen is shared with TV/projector. 5. You will now see the laptop screen on your TV. 6. Start Skype on your laptop (its output will be on TV only). 7. Mic is used of laptop only, so make sure it is not at very distance from you. 8. Speakers output is of TV or your laptop. Facing any problems, just let us know in the comment section. Continuing on the series of posts about enhancing your video calls experience, we decided to check out the third option for skype video calls on TV, that is "Skype Ready Blu Ray Player and TV Webcam". We have already covered about Skype ready TV and TelyHD Cam which are other two options for video calls on television using Skype. This method is again for the people who do not have any Skype Ready TV and want to make video calls on their normal TV (offcourse there is no sense spending so much money to buy new television, just for one additional feature). So what we are suggesting is a Skype Ready Blu Ray Player and a TV Webcam which can be connected to your television and convert it to video calling device. With Skype on your TV, you can enjoy high quality Skype calls with family and friends around the world right from your living room. No computer needed. No complicated equipment to set up and manage. All you have to do is plug in, gather the family and — hey presto — there’s always something great to watch. 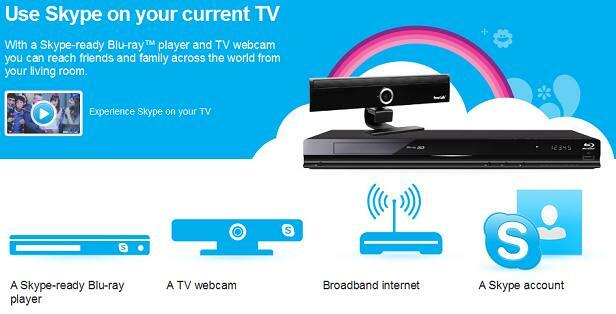 Blu Ray Player (Skype Ready) + TV Webcam + Broadband Internet + TV + Skype Account = Ultimate experience of video calls. Lets see some of Skype Ready Bluray Players and compatible webcams. Sony Internet TV – Get instant access to must-have entertainment, including thousands of hit movies, TV shows, music choices, online videos and games. Share Personal Entertainment – Wirelessly connect to your PC to stream music, videos and photos to your Blu-ray Disc™ Player. Built-In WiFi – Easily connect to the Internet through your home's wireless broadband network. iPhone/iPad and Android™ phone Remote Control - Download the free “Media Remote” app to your iPhone, iPad or compatible Android™ phone and turn it into a versatile remote control. Quick Start/Quick Load – Begin enjoying your entertainment faster than ever. I/P Noise Reduction – Improve the picture quality of internet entertainment and enjoy crisp, clear images on your HDTV. 3D Blu-ray Disc™ Full HD 1080p playback with 2D to 3D conversion – Enjoy Blu-ray 3D™ movies in Full HD 1080p. Also supports standard Blu-ray Disc™ movies in high-definition and upscales DVDs to near HD quality. The BDP-S780 allows your DVDs or standard Blu-ray Disc movies to be automatically converted into 3D for play back on your 3D TV. Multi-room Music with Party Streaming™ Mode – Wirelessly stream music throughout the home to Sony HomeShare™ Network speakers. USB Input – Share your videos or photos on the big screen or listen to your favorite music. Simply connect your digital camera, USB-enabled MP3 player, or USB storage device. - You may be interested in checking another way to connect your TV with Skype and make video calls. This method do not even require to buy anything and is quite simple to use. - A broadband Internet connection (to obtain High Quality Video calls on Skype we recommend a connection of at least 500 kbps). Video calling was never so interesting. We have experienced the video calling through our computer, then we tried face to face calls with our tablet and then last was smartphone (iPhone/Android/Nokia/Windows..). The pattern was that the device was getting smaller and so was the screen size. I understand that since it is getting more portable, video calling was more convenient. But was it more enjoyable, was the experience getting better. The answer is No. So how could your video calling be enhanced, and many people said "Video Calls via Television or on projector screen". This is something not new (as we have already seen many companies having the facility at their offices for video conferencing), but it has been quite expensive and not a home solution. As the technology is advancing, we have now smart television which are capable of offering you an amazing video calling experience. Conceptually what you require is just a camera, internet and some software code in your TV so that it can offer you video calls. 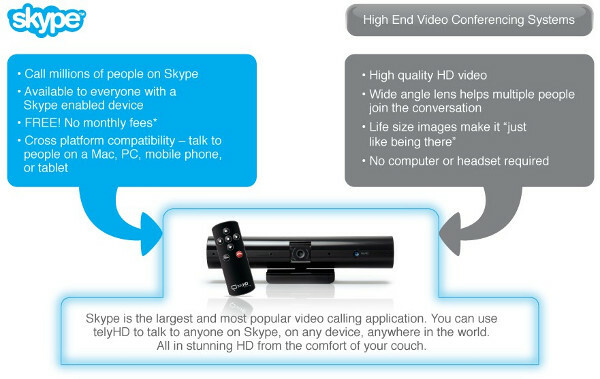 Infact we already have this feature in the market, giving Skype Video calls on TV. Yes, in India as well. 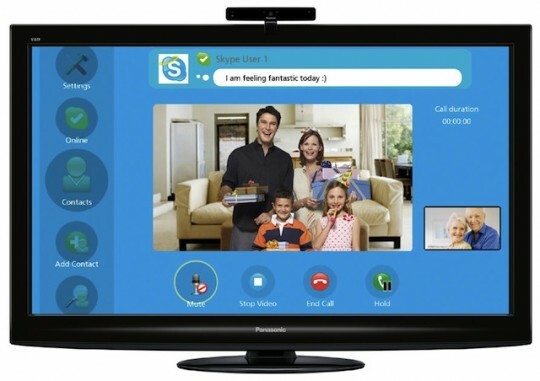 Today we will explore some television's and their price in India, which offer the Skype Video Calling Facility. Off course buying the Skype ready TV is not the only solution for video calls. There are some other solutions as well like connecting iPad to TV, buying a Skype Box, connecting web cam and some devices to tv for video calls, connecting your PC to your television, etc etc.. Please note that though these TV's are Skype ready, but these may/may not have Webcam and Mic in them. These needs to be purchased separately. These cost approx Rs 5000 (for camera ad Mic), which should not hurt you much as it will be a great video calling experience. 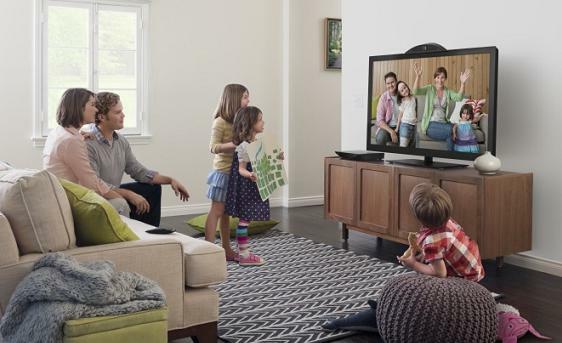 - VIERA CAST with Skype : Enjoy Internet content right on your TV. With VIERA CAST technology, you can enjoy online content such as videos, photos, weather and stock information through an easy-to-use Web interface that's built into the TV. Other services are also becoming available, one after another, such as "tweeting" web communications via Twitter and home video and audio conferencing with Skype. In addition, VIERA CAST provides USB terminals for a USB Keyboard and Communication Camera. No PC required. The Viera television series can be remote controlled with iPad/iPhone/ iPod touch by installing the official “Viera remote” app. For making video calls and other internet features, you need to have wifi connected to your TV. Price in India : Rs 39000 for 32inch television. This tv is available at most shops in India and is available online as well. Just like Panasonic television, you first require a Samsung Skype Ready Television and then you need to buy a separate Skype Camera (which is available with Samsung only). First lets look at Skype Ready TV. UA46ES6800R (Rs 116000)UA32EH4500R (Rs 38500) which is 32 inch. Experience video calls at their absolute best with the Samsung TV Camera. Video calls via services like Skype take on new levels of sharpness and brilliance, especially with two built-in microphones that pick up on every word. And with high-quality video, the camera captures every detail with great clarity, so catching up with friends and family will be a far more immersive and rewarding experience – as if you are actually chatting in person. So now you can enjoy video calling and turn watching TV into a social event. Staying in touch is more fun than ever with free Skype™-to-Skype video and voice calls from your TV (Internet connection required). Sony's Skype™ camera and microphone for audio and video chat enables crisp and clear picture quality with HD signal. Four integrated microphones capture pristine audio, while the simple plug and play USB connection makes this one easy to use device. If you are planning to buy a new television, then you should definitely buy a Skype ready tv. Video calling experience on tv is just amazing. Localphone is one of the best voip providers specially if you want to make calls to asian countries. The unique thing about Localphone is actually none. It is one simple voip provider which offers very cheap international calling rates, keeps on running timely promotions for its old and new customers, has excellent customer support, offers just every way to make calls and still keeps giving discount coupons so that people have save on phone bills. What Localphone does NOT offer is huge phone bills, bad call quality, always changing terms and conditions, always changing calling rates and headache and problems. Trust me the deciding factor when choosing a calling card or voip service should not always be calling rates. Off course calling rates has to be competitive and lower, but other things like call quality and customer support does matter. This is where Localphone comes, so if you have made a decision to go with it then you won't regret your decision. And before you go into joining Localphone and buy some credit, read on. We have an voucher code and some good tips for you. It is offering free coupon code/voucher code, lets check details about it. - Check out this localphone promotional page. - You will get 10% extra bonus credit. The code is valid till 30th November 2012. So if you buy credit worth $1, then you will get $1.1 on your first purchase. One of good things about Localphone is that you can even try its service for free. This is before you buy any credit : first call is free! So what I can suggest you is to try out Localphone and see if you like the service. If you like it, then just buy some credit (as low as just $1), also make sure to use above bonus code to get extra benefit. Vonage needs no introduction, one of the biggest telecom provider. It has entered a new business and started a new dimension with launching its calling cards service in the name of "Vonage Digital Calling Card". 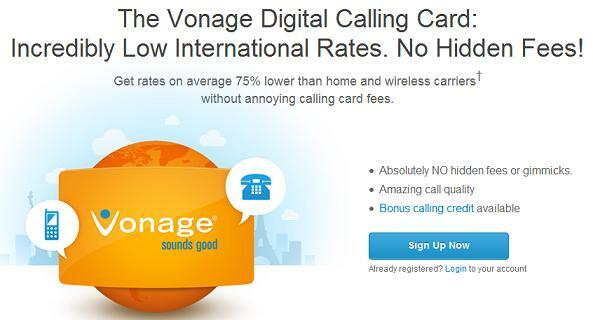 I think Vonage understand that already large number of people prefer calling cards and voip services for international calls, and it will be better if that launch their own service offering cheap calls. I guess Vonage is following the pattern what Indian Telecom Providers started. If you remember AirtelCallHome by Airtel, Reliance Global Call by Reliance Telecommunications etc. Lets see how many people actually start using Vonage. Though this calling card service is a Vonage company but in order to use these digital calling cards, you need not to be an old vonage customer. Any one can sign up for this calling card service. It works like an old traditional calling card, where you have to register your phone number from which you will be making calls. Then you have to dial an local access number (its pinless service as you registered your phone), followed by your destination number. Calling rates offered by Vonage are not bad but surely they are not the cheapest ones. Considering the pricing, they offer various plans (which we will talk below). Regarding the call quality, it is pretty decent. We checked the calling rates for India, and below is the summary. Standard Rate with $5 Purchase : 2.4 cents per min. United Kingdom: 1.4 cents per minute landlines and 10.8 cents per minute for cell phones. 1. Create your account and add funds. 2. Vonage will call you to validate your phone number. Vonage has something special for its customers. Vonage is offering some extra credit (bonus) on purchase of $15 or $25 credit. The bonus for $15 purchase is $5 and for $25 purchase it is $10. What it means is, that if you purchase $15 credit you will get $20 worth of talk time. With $25 amount you spend, you will get $35 worth of talktime.The rates mentioned on the site are considering the plan you choose for, interesting marketing strategy I would say. I guess this kind of strategy works only one time, soon people realize that they are not actually getting what they told. It would have been better if Vonage would have offered lowest rates in the industry and kept them consistently low. Your Digital Calling Card purchases do not expire, but if your card is not used for six months, an Inactivity Fee of $2 is deducted each month you do not make a call per the Terms of Service. You will receive an email notification if an Inactivity Fee is placed against your account. Once you resume making calls, the Inactivity Fee is no longer assessed. Yup there's more. Though you can register any telephone number with your calling card, but please note that you may only have one phone number active on your account at a time. What that means is you can make calls from only one phone. So if you and your spouse both want to use the same calling card at the same time, than its just not possible now. That's pretty bad! At this time you can only register one phone number per account. If you would like to switch the phone number registered on your account you can always change it by signing into your Online Account. Free Pc to Phone Calls is something which is very popular for so many years now. All thanks to Voip that many people have been successfully making free calls over internet using their computer. Services like Evaphone are really very very popular which only requires your computer with microphone and speakers and you can call almost every mobile and landline (anywhere in the world). The only thing is that these calls are of limited duration and the number of minutes varies from country to country. For India, calls lasts about 60 seconds. What next, if Evaphone stops working for you. Infact many people have complained that Evaphone does not work for them. Instead of finding a solution for your evaphone problems, why don't you move ahead and just try some of its alternatives. We have already posted one of its alternate solution (GlobFone). Today we will be discussing another possible alternate for evaphone. We are talking about Call2Friends.com. All you need for this easy-to-use system is a computer, a mic, speakers and decent Internet connection. Call2Friends is a modern telecommunication service that uses the latest technologies and offers a free and high quality communications to people all over the world. Not only can you call your online friends for free, it also offers free calls to any regular landline in various destinations. For this unique calling service you need nothing but Flashplayer, microphone and headphones. Make free and cheap calls both locally and internationally. - You need to have flash player installed on your computer. Calls to India are limited at 60 seconds per call. - Calls cheaper than those proposed by Skype. Please, register to perform paid call. Check out tariffs plan. - Limited number of free SMS messages to family and friends per day. Though Call2Friends also offers paid calls however the calling rates are higher than many other voip services. So I won't recommend Call2Friends for paid calls, however you should still consider using the free calling feature. You can also use it for sending free sms. It also works great! If you have any questions or any doubts about using this new service, then please shoot them up in the comment section. If you still want to try Evaphone and use it on your mobile, then I would suggest you read our blogpost on it. If you are using your normal telecom operator to make international calls, then you are losing too much money. 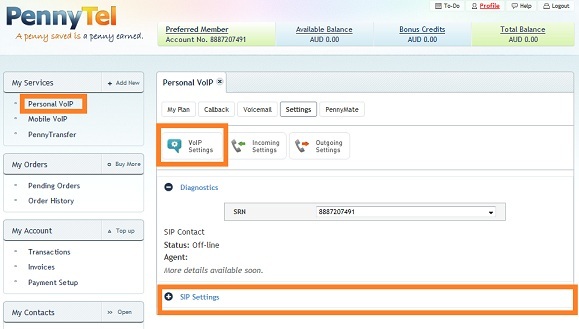 It is high time you start using voip provider (or mobile voip) or calling cards for making international calls. These companies offer so much low rates that you will notice a huge change in yours phone bills. I remember few years back calling India used to cost about 5-10 cents per minute, but now its as low as 1 cent per min (some even offering lower). Today we decided to review another such service which have their tagline "Call India at best rates". We are talking about PhoneIndia.com! It is just like a normal calling card offering local access number dialing. The noticeable thing about them is their calling rates which are quite competitive. - Pay as you go plan (Pay $2 to get 149 minutes to India), effective calling rate of 1.3 cents per min. - Sign up with PhoneIndia.com. - Buy credit and pay with any major credit, debit card or PayPal. - Dial the access number in your area and call India. PhoneIndia offers local access number (and toll free numbers) in many countries. So you can easily make calls from USA, Canada, Germany, Sweden, UK.. the list is long. - Refer your friend to PhoneIndia and get $5 as referral bonus. - Refer 12 friends and get $60 bonus (that's like one year of free calls to India). How to earn Free Mobile Recharge : VodaFone, Airtel, Idea, Others..
Whatever we say, its still a fact that large number of people use mobile telecom services to make calls. 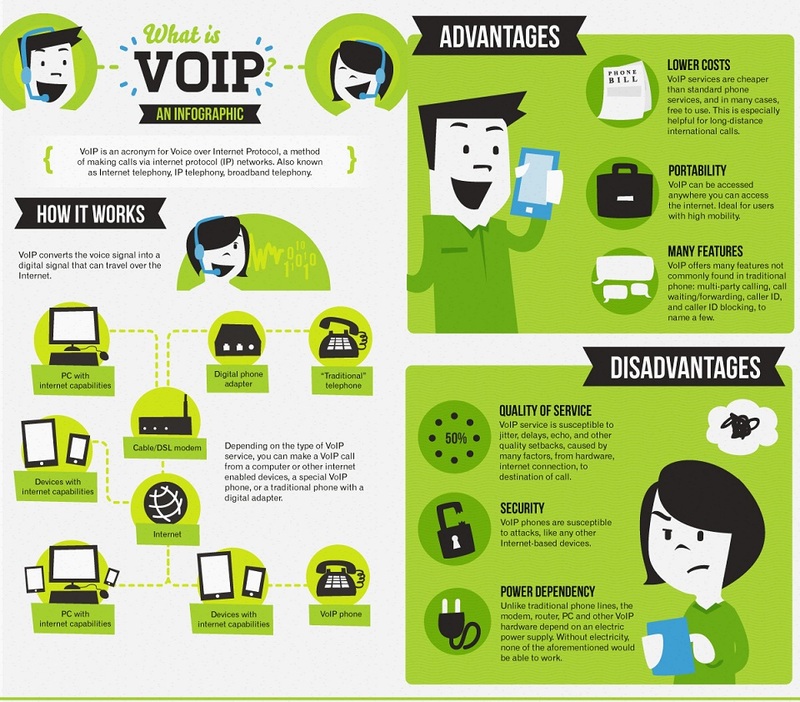 Though voip is popular however it has not yet replaced the mobile operators and I guess it never will. Smartphones have in a way made people aware about Voip but it ain't so popular in India where people still rely upon mobile telecom service. A lot of people have asked us about how they can earn some free mobile recharge (offcourse our Indian readers). We thought to check this out and find out about a few ways by which you can recharge your mobile for free. Offcourse, you won't be earning few thousands bucks mobile recharge straight away, but few hundreds won't be such a difficult task. Lets find out how..
1. EmbeePay : It is the best method avialable online to earn free recharge (yes Rs 50, Rs 100, Rs 150...) and the method is simple as well. We will teach you how. It works through Facebook and reward points for completing small tasks. It works worldwide (even outside India). 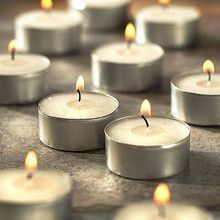 - Login to your facebook account. - Click this link to install the EmbeePay App on Facebook. - Next, Enter your mobile number, Country & Network Provider. - Click on validate now & EmbeePay will send Validation Code via SMS to your mobile & enter that code on the Screen to verify your mobile. - Click on Earn tab to earn more credits. - Click on Redeem Tab and Complete Offers for points. - Invite friends so you can also have Invite Bonus which is like 50 credits per invite. Please note that you have by now earned lots of free credit (just by registration and validation). You must have got Free 52 credits. You will be earning these points and claim them in lieu of mobile recharge. - 20 points sharing reward and more points earn by watching videos and completing offers. 2. Ultoo : You must have heard about way2sms (using which you can send sms online for free). But this service is a step ahead, not only you will be able to send sms using Ultoo but you will earn some free credit as well. - Get 2 paisa for every message you send. - Get Rs. 1 for every friend you invite. 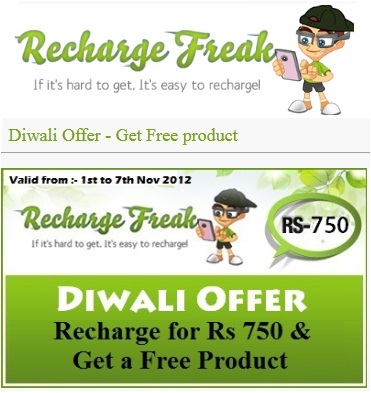 - Get free recharge for your mobile of a minimum Rs. 10 Balance. - You need to have a minimum of 10 Rs balance to redeem your first recharge. - Good thing is you can save contacts and send them message very easily. Time to register with Ultoo and earn some free recharge. 3. FreeTalkie : Yup another website which allows you to earn some free credit and recharge your phone. You need to fill some surveys, complete some offers and in lieu of it you will get some free recharge. - After login, click on "Fill Wallet" to participate in offers and earn FREE Recharge. Participation in offers takes 30-40 seconds only and will get you Rs. 2 to Rs. 10 per offer. While Participating in any promotion please make sure that you are entering correct information in the form. After successful participation amount for that promotion will be credited to your FreeTalkie's Wallet. You can check your earn amount by clicking on My Wallet. - Recharge your phone once your balance reaches Rs 10. Windows 8 has been launched and devices (computer and smartphone) will soon be in the market (some are already in) featuring this new operating system. We just wanted to make sure and let our users new that you can safely switch to Windows 8 as video calling (and voip voice calls) won't be a problem in windows 8 as well. 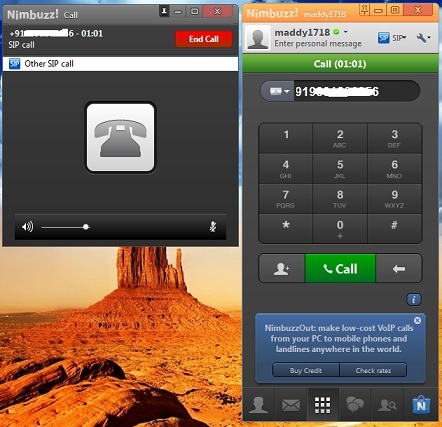 Your most favorite application for video calling "Skype" is already available for windows eight users. 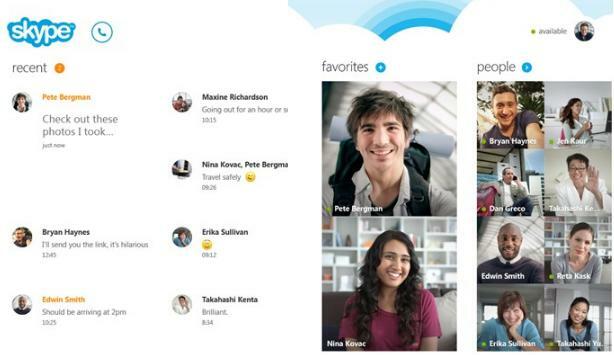 Skype has been redesigned specially for windows 8 platform and it looks all new and more promising. The application has been made user friendly and is very easy to use. Everything is just at a click of a button. The things you love about Skype are still here – video calling, instant messages, calls to mobiles and landlines – but now it’s even easier to use. You’ll never miss a moment. The best part is that Skype is that it is always on (yes you are always logged on) and it still does not hurt your battery life as well. You'll stay connected even when the app is closed, so you're always available and reachable to the people you talk to most. So whatever you are doing, you will keep on receiving new messages (and calls as well). And that's its tagline "Never miss a moment". Once you sign in, the app is always on without draining your device's battery, so you can take calls any time. Exchange instant messages with all your Skype, Messenger and Outlook.com contacts. Call any phone quickly and easily from Skype. - Either open the store in your window 8 and search for "Skype"
- Visit this link to download the app. Reach anyone you want – start a chat with your Skype contacts right from the People Hub. Want quick access to your Favorites? They're front and center in Skype. The old features still remains and are available in Skype for windows 8 as well. - Skype to Skype Calls. - Group Video Calls : If you work or collaborate over Skype, they will be soon adding features like group video calling and sending files to Skype for Windows 8. So if you have a gadget with windows 8 installed in it, then don't wait just get Skype installed in it and start making video calls. Any questions, just shoot them up!